Update: The situation at the Radisson Blu hotel is now reportedly under control after several harrowing hours, at least according to Malian general Didier Dacko, who told The New York Times that the perimeter of the hotel is secure, and that forces are "inside looking for the terrorists." The reported human cost of the attack, however, is high — the United Nations believes no less than 27 people were killed, after a reported 100 or so were taken hostage earlier in the day. According to CNN, six Americans so far have been saved from the hotel, and at least two of the gunmen have been killed. Earlier: Early Friday morning, armed gunmen stormed the Radisson Blu hotel in Bamako, Mali, taking 170 people hostage, according to NBC News. The U.S. Embassy in Mali confirmed the ongoing active shooter situation at the luxury hotel and asked American nationals to seek shelter for safety. The hotel siege is yet another instance of violence in the West African country, and while no group has yet claimed responsibility, it seems there are just a few options on who the attackers of the Bamako hotel could be. 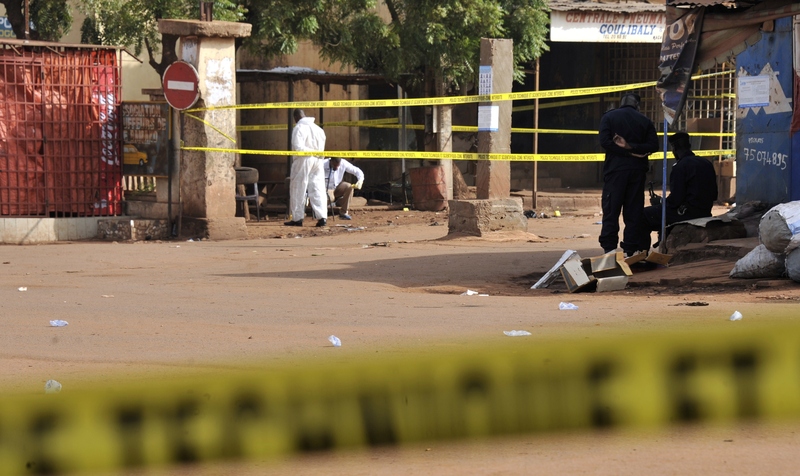 The U.S. State Department issued a travel warning for northern Mali to citizens in May, two months after an Islamist group attacked a nightclub in Bamako, killing five people. According to the government, militant groups in the northern region include al Qaeda in the Lands of Islamic Maghreb (AQIM), Ansar al-Dine, the Movement for Oneness and Jihad (MUJAO), and Al-Mourabitoun. While terrorist activities are at a much lower rate than they were three years ago, groups have increased their calls for attacks and kidnappings of westerners, the advisory said. Al Qaeda-affiliated militants have previously been behind attacks like the hotel storming in the past. AQIM was behind a number of kidnappings over the years, and Islamist fighters besieged another hotel in Sevare, Mali, a few months ago in August. That attack left 12 people dead. Chances are al Qaeda militants have once again terrorized the country. Whether the Bamako hotel attack is connected to last Friday's terrorist assaults in Paris has yet to be seen, though the Paris attacks are believed to have been carried out by ISIS.